Boris Mezdrich’s production of Wagner opera offended Orthodox activists. Boris Mezdrich, the director of the Novosibirsk Opera and Ballet Theater, where there was a scandal over the staging of the Wagner opera Tannhäuser, has been fired, stated the Minister of Culture Vladimir Medinsky. The minister appointed the director general of St. Petersburg’s Mikhailovsky Theatrer, Vladimir Kekhman, as the new director. “I am glad that I did not give in to pressure and give up on the opera. Unfortunately, it was not possible to stand firm to the end victoriously. But I am thankful to all who supported us,” Mezdrich said in an interview with the Izvestia newspaper. The same thing happened with Kulyabin’s production. A representative of the Russian Orthodox Church wrote a letter to the Prosecutor’s Office less than a month after the premiere, accusing the director of the opera and the theater director of intentionally desecrating religious symbols. The Prosecutor’s Office subsequently opened an administrative case based on the public desecration of the image of Jesus Christ. 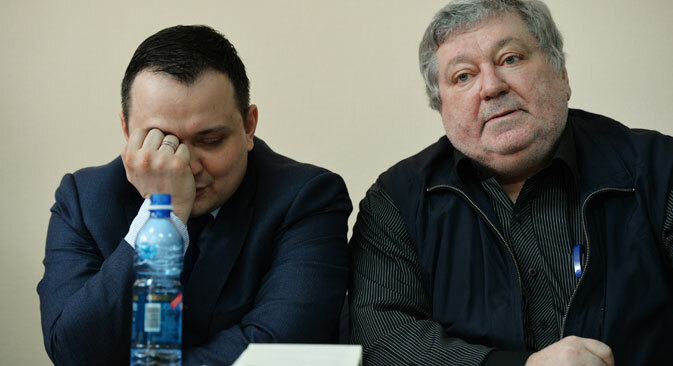 In late March the court dismissed the administrative case for lack of evidence. The Prosecutor’s Office is contesting the court’s decision. “The Ministry of Culture had to intervene in the situation, publicize its position, and take appropriate action regarding personnel,” he said. In Magomedov’s opinion, the repertoire needs to be “looked at, at some stage” by the community of experts, especially in state theaters. The new director of the theater in Novosibirsk, Vladimir Kekhman, said that the fate of Tannhäuser would be announced later. Earlier, at a Ministry of Culture board meeting, Kekhman noted that “as a believer, baptized person, Orthodox Christian, Jew, I am offended by this. This is a demonstration of inner wickedness in the style and spirit of the League of Militant Atheists.